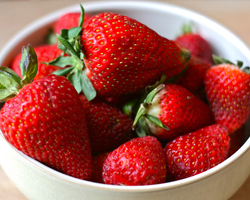 The flavor of strawberries is almost always associated with the summer months when these berries are at their best. Though you can get strawberries frozen or imported year round, there’s nothing that can compare with a locally grown berry that’s perfectly ripe and in season. Strawberry leaf tea offers the health benefits and sweet flavor of strawberries any time of the year. When you’re cozy by the fire just dreaming of snowmelt and warm days to come, a steaming cup of strawberry leaf tea is a comforting and delicious treat to have in hand. This tea is very nutritious as well. 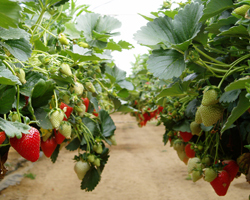 Strawberry leaf tea possesses many of the same nutrients as strawberries. This tea has vitamin C, iron, and calcium. These will help you to build healthy teeth, bones and gums. 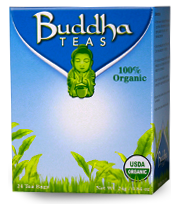 This tea has antioxidant flavonoids and naturally healing tannins. Strawberry leaf tea is often used as a diuretic to aid in natural cleanses or detoxification of the body. Strawberry leaf tea also acts as an anti-diarrheal. There are very few negative properties associated with this tea. However, if you are allergic to strawberries, this is one beverage you should carefully avoid, as you will be allergic to the tea as well. If you prefer a healthy diet that features locally grown foods as much as possible, you will find your options limited in the winter months. Not only will your plate become a bit less colorful, your body won’t be getting the same nutrients it enjoys from summer bounty, either. You can help to counteract this by enjoying the many benefits of fresh berries in the form of strawberry leaf tea. Though this tea doesn’t contain all of the same properties that a fresh berry would, it does offer you many of the vitamins and nutrients that you need to stay healthy. If you’re making your own strawberry leaf tea, be sure you use leaves that are either fresh or completely dried. Using leaves that are only partially dry can cause severe nausea and vomiting. To be absolutely sure about the state of your strawberry leaves, purchase premade tea bags for your strawberry leaf tea. Steep the bags in hot water as you would with any tea. 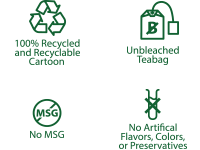 Strawberry leaf tea has a naturally sweet flavor, but you can enhance this with a drop or two of honey if desired. If you’re drinking this tea in summer and want a cooler option, try your strawberry leaf tea over ice.